By Glen Foreman A GROUND-based feud is heating up the Red Bull Air Race in the wake of Hannes Arch being an almost certainty to win the championship this weekend. Britain clocks up 100 years of aviation from Aeroplane Monthly News - Celebrations Farnborough mark the 100th anniversary of the first powered aeroplane flight in the UK. One part of the complex mystery of Steve Fossett's disappearance 14 months ago may have been solved with the discovery of bones, a pair of shoes and his driver's license. "We talked to the family and advised them that we possibly, most likely, found the remains of J. Stephen Fossett," Madera County Sheriff John Anderson told a news conference Thursday. Newly discovered bone fragments found at the crash site of adventurer Steve Fossett on Oct. 29 are believed to be human, according to California's Madera County Sheriff John P. Anderson. The fragments will now be tested for DNA that could link them to Fossett. Testing had been inconclusive, or negative, on fragments found earlier in October. A company controlled by Google’s top executives, including its billionaire founders, Larry Page and Sergey Brin, appears to have added a new plane to its well-equipped fleet: a fighter jet, or more precisely a Dornier Alpha Jet. According to Wikipedia, the Alpha Jet is a a light attack jet and advanced trainer aircraft manufactured by Dornier of Germany and Dassault-Breguet of France. NAS Jacksonville Airshow from Fence Check - Couple more. From Dave - Warbird Beer Show: We got some requests to see the XP-38K. Here is a grainy black and white photo. Looks like a P-38 to me. I bet those twin Rolls Royce Merlins sounded awesome! The guys at The Warbird Beer Show on Flight Line Radio were talking about the plane above the other day on their show. Dave, at Warbird Beer, was nice enough to post the picture on his website so we could see what he was talking about. Update: 11/5 - Some discussion about this post took place here. Lackland AirFest 2008 is preparing a wonderful lineup of events to wow those visiting Lackland Air Force Base for the two-day event. We'll have spectacular aerial performers, ground displays and more to show support of our armed forces. - The event is open to the public. - Free parking and free admission. - No tickets required. Make plans to attend AirFest 2008 on Nov. 1 and 2! Britain’s Nigel Lamb led his Red Bull Air Race rivals Kirby Chambliss (United States) and Steve Jones (Britain) out of Perth and over the nearby Indian Ocean to the picturesque Rottnest Island for the traditional formation flight on Thursday ahead of the weekend’s racing, the grand finale of 2008 that will decide the Red Bull Air Race World Championship. Arch was in high spirits after a strong showing in the first timed training session (1:18.09), where he has often struggled before rallying on race weekends. The Austrian, who needs just a 9th place to clinch the 2008 World Championship, put on a show of force on the turn-filled track. Despite hitting a pylon on one run, Arch said he felt in top form physically and mentally. 'Heavenly Body' To Be Left Out In The Cold A struggle by California warbird enthusiasts is demonstrating a sad truth -- the costs of storing and maintaining vintage World War II aircraft bombers is becoming too expensive for the little guy. Women in Aviation, International will welcome five new inductees into its Pioneer Hall of Fame during the closing banquet at the twentieth annual Women in Aviation, International Conference in Atlanta. The Conference will be held from February 26-28, 2009, at the Atlanta Hyatt Regency. Aerobatics performed by the Black Knights on 9 August 2008. Complete series at http://wandertales.blogspot.com/2008/08/national-day-parade-in-singapore.html. On October 30th, 1909, J.T.C Moore- Brabazon won £1,000 from the Daily Mail newspaper by flying a Short Brothers aircraft for a circular mile. It's the end the of an era in Berlin. The iconic - and controversial - Berlin Tempelhof Airport will finally shut down today after years of legal fighting. By DAWN WITHERS • The Salinas Californian • October 29, 2008 Even though the Yanks Air Museum was approved in 1997, years remain before the developer can break ground on the ambitious project. ARCH PUTS PRESSURE ON RIVALS - Austria’s Hannes Arch piled the pressure on rival Paul Bonhomme in the first training session of the Red Bull Air Race World Championship in Perth on Thursday, posting the fastest time of the day and finishing more than 4 seconds ahead of the Brit. Bonhomme was uncharacteristically far down the time sheets in 6th place. 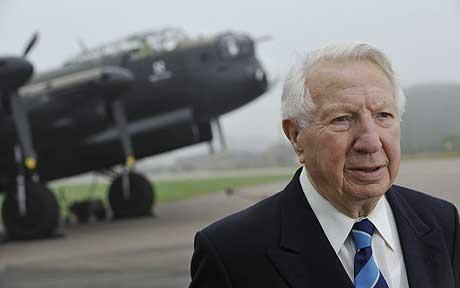 For nearly 60 years of his life, he seemed to be flying a plane or studying aviation history. He hunted submarines from the sky for the Navy, before beginning a 35-year career with American Airlines, retiring as a Lockheed L-1011 captain. Riding the crest of the historic opening of the Tuskegee Airmen National Historic Site Oct. 10, four of the original Airmen spoke to hundreds of Air Force officers at Squadron Officer School at Maxwell Air Force Base recently. Greenfield hopes to attract vintage planes to a planned air museum. It may still be years before vintage planes are flying over Greenfield, but the proposed Yanks Air Museum got a big lift from the Board of Supervisors on Tuesday. Red Bull Air Race World Championship leader Hannes Arch got the honour of being the first pilot to land on the runway at Perth's Langley Park on Wednesday in front of the chasing pack of his 11 rival pilots on the banks of Swan River for an opening ceremony ahead of the weekend's season finale. Swimming with the sharks and the Red Bull Air Race have a lot in common, according to outgoing champion Mike Mangold – lurking dangers like pylons, predators to watch out for like his rivals, and the overall adrenalin kick are some of the similarities that come to mind. Despite that, the Navy wasn't done with airships. They played such a big role in World War II coastal patrols that Moffett became home to 42 of them and was expanded by two more hangars. Red Bull Air Race pilot Kirby Chambliss had a close encounter of another kind in Perth – flying next to an Australian Air Force F/A-18 Hornet fighter jet in the skies over nearby Freemantle ahead of the weekend’s World Championship final. Chambliss said he was delighted to take his Edge 540 – the plane with the most powerful engine in the field – up against the fastest and most versatile jet the Australian Air Force has to offer. Rhode Island International Leapfest published - And now, for something completely different... Dave O'Brien hops aboard a chopper to cover the Rhode Island International Leapfest. Greg Koontz, one of the airshow circuits most sought after acts hosted a fly-in and airshow at his private strip in Ashville, AL today Saturday 10/25. The weather was gorgeous and so were the planes. One of the pilots flying in his T-6 was John Bostick. Bostick flew with the USAF Thunderbirds in their first two years in the F-16A. He flew opposing solo in 1983 and lead solo in 1984. I have posted a shot of John departing to perform his airshow act. He got up close and personal on his departure and gave us a good "dusting". What an awesome experience. Thank you John. Aviation Airshow Air Race Photography Discussion - Just tap it on the runway from http://www.aafo.com/ - Just tap it on the runway - I understand that Steve had a bad indicator light for a gear lock so to be sure. TrueZer0 gives a summary of their experiences at the Northrop Grumman Lunar Lander Challenge. Includes some close-up pictures and video of the flight of Ignignokt. Airship Ventures is now up and running with its German-built Zeppelin, offering sightseeing flights to the general public in an airship, the first time such flights have been available in the U.S. in about seven decades. The company started media flights this week from Moffett Field, just south of San Francisco, and will start passenger operations on Friday. The ship will also fly from Oakland International Airport and from Charles Schultz Airport in the Napa Valley. The Zeppelin is almost 250 feet long. Large windows offer a 360-degree view, and the cabin seats up to 12 passengers, who are free to move around during the flight. The airship flies low and slow, topping out at about 1,200 feet AGL and 35 to 40 mph. Hour-long tours run about $500 per seat. The ship can also be chartered by the hour. 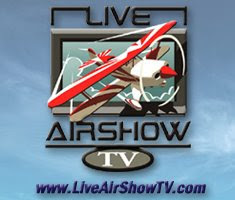 LiveAirShowTV will work in conjunction with the local air shows to provide more exposure not only for their show, but also for their sponsors and partners. National sponsors will help to offset the large cost of this operation at each show. We will leverage new digital media technology to create win-wins with our sponsors. Ken Perich has partnered with Jeff Lee to develop the corporate partnerships and marketing strategies to bring these shows to the viewers around the world. “I see this as the future of air shows, as well as digital interactive entertainment. We are thrilled to be able to bring the exciting world of aviation and air shows to the public in this way”, says Perich. LiveAirShowTV will not only feature live air shows, the network will also offer aviation events during the year that may be broadcast live over the Internet. Viewers will also be able to look into the history of aviation and learn about the people who are keeping these vintage planes flying. The National Aviation Heritage Invitational is the prime resource for these restorations, and many of their stories will be available for viewing. The future is also important, and alliances will be developed with groups like the National Aviation Hall of Fame and the Discovery of Flight Foundation to offer curriculum and lesson enhancements to schools around the world. Live event broadcasting through our new Internet Broadcast Network is only the tip of the iceberg. LiveAirShowTV will kick off programming with our live air show coverage, and we will be bringing much more content, including other live events and on-demand programming. Watch for the list of events to be posted as they become official. LiveAirShowTV will become the aviation fan’s #1 stop for aviation events on the Internet. EAA AVIATION CENTER, OSHKOSH, Wis. - (Oct. 28, 2008) - Each year, the spirit, enthusiasm and innovation within aviation come together in one place, known simply as "Oshkosh." Preparations for the 57th annual edition of EAA AirVenture Oshkosh - The World's Greatest Aviation Celebration - are already underway, getting ready for the event at Wittman Regional Airport on July 27-August 2, 2009. Each year, more than 10,000 airplanes migrate to the Oshkosh area to participate in the event. Whether these aviation enthusiasts fly their own airplanes and camp along the flight line, or pitch a tent in the adjacent Camp Scholler, or find their own accommodations in area hotels, dormitories or private housing, they come to AirVenture to share the joy and excitement of flight. "At EAA AirVenture, we often see and hear about the big events, such as the one-of-a-kind aircraft or the new innovations in flying," said Tom Poberezny, EAA president and AirVenture chairman. "But more important, in one week this is where the whole, true spirit of aviation comes together to celebrate the world of flight. That means the heritage, the pride and the vision of aviation. Each person who attends has an individual flying story. Oshkosh is the one place where all those stories come together to create a celebration that is unmatched anywhere around the world." Among some of the scheduled highlights already announced for EAA AirVenture 2009 are an expected visit from WhiteKnightTwo, the carrier ship for the new SpaceShipTwo space tourism vehicle; a reunion of participants from the five visits of British Airways' Concorde to Oshkosh in the 1980s and 1990s; and special recognition of aviation's humanitarian role around the world. Special programs saluting international aviation anniversaries and homebuilt aircraft are also being developed. In addition, comedian/ventriloquist Jeff Dunham - one of the nation's hottest comedy concert draws, who is also an experienced helicopter builder and pilot - will be returning to EAA AirVenture for a concert appearance on Saturday, August 1, presented once again by RotorWay International. Dunham's appearance at Oshkosh in 2008 drew an estimated 10,000 people. In 2008, EAA AirVenture included more than 2,500 showplanes, 800 exhibitors, and nearly 1,000 forums and seminars. It also featured the introduction of dozens of new aviation products, including several new aircraft. Oshkosh is also a one-of-a-kind locale for government aviation officials to meet and hear their constituents, whose input at Oshkosh helps shape national aviation policy. Over the next nine months, look for added features to the already extensive video and audio presentations and interactive sections at the www.airventure.org website. The website also includes everything you need to plan and get the most out of a visit to AirVenture 2009, That features essential updates on admission rates, housing, forum presenters, special attractions, and more. "EAA AirVenture is one of aviation's most important events for business, government and education," Poberezny said. "What makes this event unique, however, is the fact that it is also aviation's annual family reunion. If you're asked to explain what EAA AirVenture is, there's only one good answer - 'You've gotta be there!'" The schedule of events and confirmed lineup of aircraft will be announced as those items are finalized. EAA members enjoy the lowest AirVenture admission rates for themselves, their families and their guests, as well as access to camping in aircraft areas and in Camp Scholler adjacent to the flight line. Advance ticket sales are expected to begin on November 1, 2008. EAA AIRVENTURE OSHKOSH is The World's Greatest Aviation Celebration and EAA's yearly convention that embodies the membership's spirit of aviation. For more information on EAA and its programs, call 1-800-JOIN-EAA (1-800-564-6322) or www.eaa.org. EAA AirVenture information is also available through the World Wide Web at www.airventure.org. Mike Mangold, who won his second championship in three years in Perth a year ago with a scintillating performance under pressure, saw his faint hopes to defend his title disappear after falling 11 points behind Austria's Hannes Arch in Porto. But the always-competitive American, who leads the career all-time wins table with 8 victories, would like nothing more than to finish the season on a high note with a 9th race triumph. This Veteran's Day, (Tuesday, November 11) the Air Zoo will honor those who have served—and those who continue to serve—our country by offering free admission to veterans (and their immediate families*) of all branches of the armed forces. KISH ISLAND, October 28 (RIA Novosti) - The 4th Iran Kish Air Show-2008 opened on Tuesday in the Persian Gulf, a RIA Novosti correspondent reported. Qld Air Museum volunteer worker Don Cameron displays the recent awards from the Caloundra Business Awards on October 24, 2008. Yes, that's a real Concorde flying under the Verrazano Narrows Bridge in New York City in November 2003, on route to the Intrepid Sea-Air-Space Museum—to which it just returned after its restoration. This weekend marked the fifth anniversary of the last commercial flight of this amazing supersonic jet—without a doubt the coolest passenger airliner ever created. Capable of flying at a cruise speed of Mach 2.02 thanks to its four Rolls-Royce/SNECMA Olympus 593 Mk 610 afterburning turbojets, the Concorde linked London to New York in just 3.5 hours. And not only the thing was fast and pretty—in that futuristic seventies aesthetic that probably can make Jon Ive to faint—but it was a complete luxury to fly in it. Long Journey Reaches Its End In SF Bay Area Passing over the Golden Gate Bridge on the last leg of the flight from Beaumont, TX to Mountain View, CA on Saturday, the Airship Ventures Zeppelin has finally arrived at its new home at Moffett Field. MUNCIE -- While surface weather measurements are taken at the Delaware County Airport every day, it's rare that weather balloons are released in town to measure atmospheric conditions such as high and low pressure systems or fronts. Kirby Chambliss got to know the sweet taste of success when he clinched the 2006 Red Bull Air Race World Championship in Perth two years ago, a season he had dominated with 4 victories in 8 races. But the American, who is only genuinely happy when he is first, has been trying in vain to get back on top ever since, suffering through a winless 2007 season and falling to 4th place overall before bouncing back in style with 2 victories so far in 2008. While EAA AirVenture Oshkosh is officially a one-week event, it’s never too early to begin planning for next year! AirSpace is offering you another fantastic opportunity to get your best image onto the front cover of Flight International magazine. Next month’s launch of the space shuttle Endeavour will have Hoosier feel to it.